When it comes to commercial real estate and Los Angeles’ West Side, the discussion tends to focus on Playa Vista (“Silicon Beach”) or Santa Monica’s downtown resurgence. Culver City, however, has been flying under the radar, until recently. Situated south of Interstate 10, and east of Venice and Marina del Rey, this five-square-mile plot built its reputation as a maker of movie magic (as home to MGM Studios, and the current site of Sony Pictures Studios and Columbia Pictures), and the seat of iconic industry (Hughes Aircraft Company and Hayden Tract). Within the past year, Culver City has made commercial real estate news, thanks to the following deals. Amazon’s 75,000-square-foot lease at Culver Steps, a mixed-use development at 9300 Culver Blvd. under development by Hackman Capital Partners. The lease is in addition to the Culver Studios space Amazon took in 2017. Apple’s intent to occupy the Lincoln Properties and Clarion Partners’ 128,000-square-foot building at 8777 Washington Blvd. Originally earmarked as HBO’s new headquarters, Apple took the space after the cable producer backed out. Chinese start-up Bytedance’s 119,000-square-foot lease at C3, a 283,000-square-foot creative office campus at 5800 Bristol Pkwy., under development by IDS Real Estate and PNC Realty Investors. Jam City Inc.’s takedown of 40,000 square feet at the refurbished Hayden Tract on Eastham Drive, owned by Pas Trust. The Real Deal pointed out that the wave of office development in Culver City means space is coming online, or will be, in the near future. Tech and media companies are drawn to this West-Side locale for a variety of reasons. 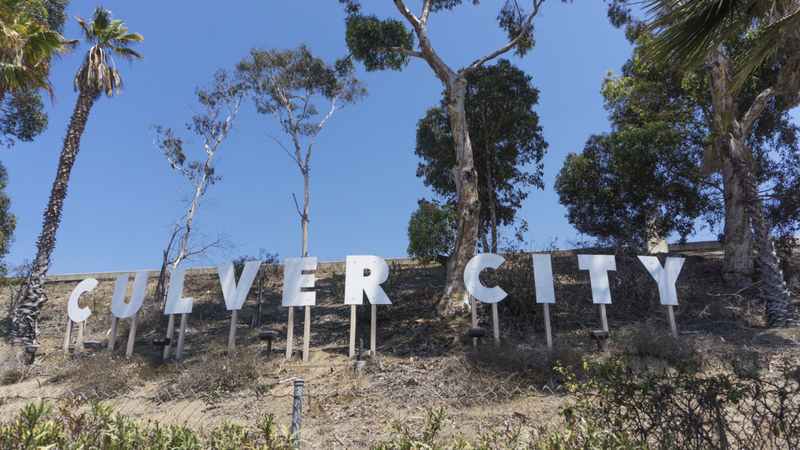 Culver City’s overnight success has been a decade and a half in the making. But, one boost to the area has been the L.A. Metro’s light-rail Expo Line, which connects Santa Monica with downtown Los Angeles. Finally, Hackman Capital Partners’ Ryan Smith said that Culver City offers great growth potential, along with well-regarded school districts and public services. As such, interested companies are “finding that Culver City checks all of those boxes,” Smith said at the recent Connect Westside Los Angeles conference. Smith went on to suggest that Amazon and Apple, as well as HBO (which is staying put in Santa Monica), could generate between 10,000 to 12,000 new jobs within the next three years. This means the need for additional affordable housing, as well as impending traffic nightmares, for Culver City. “The city needs to look at height restrictions when looking at residential or mixed use,” Smith suggested. “They can solve a lot of problems that way.” One such plan, the Exposition Corridor Neighborhood Transit Plan, would pave the way for taller, mixed-use buildings on major streets. The plan would also loosen zoning restrictions, allowing for housing and office development in former industrial areas within a half-mile of train stations in Palms, Westwood and West L.A.
From Industry, to Movies, to . . .
Amazon and Apple, along with Ivy Station, Hayden Tract and Culver Steps, lend credence to the idea that Culver City, which recently celebrated its centennial, is coming into its own. Thanks to transit, lower lease rates and opportunity, the city will likely continue attracting developers. Hackman Capital Partners, for one, isn’t going anywhere. “We believe in this area, and are continuing to look at small tracts, buying them, and piecing them together,” Smith said.